Today I am featuring two wonderful turkey treats as we come into the home stretch for Thanksgiving. 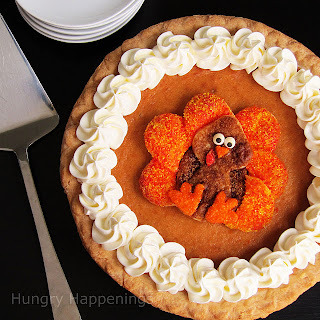 Hungry Happenings has a great tutorial on to make this edible "sparkling" turkey to embellish a store bought pumpkin pie. It is not the difficult to make and will be sure to impress you Thanksgiving guests. She Beths's tutorial here. 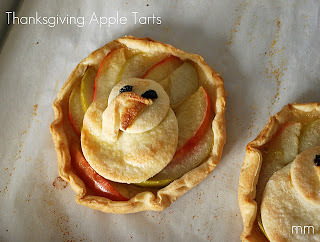 I also adore these handmade Turkey Apple Tarts from Miranda Made. They will be a great addition to your dessert menu. You can see her tutorial here.